António Araújo is a University Professor, and a Managing Director and Director of Publications at Fundação Francisco Manuel dos Santos. 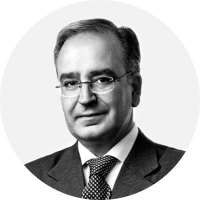 He is a member of the Scientific Committee of the Changers meetings and consultant on Political Affairs for the Civil House of the President of the Republic of Portugal. António Araújo is also the author of several books and articles on Contemporary History, Constitutional Law and Political Science.